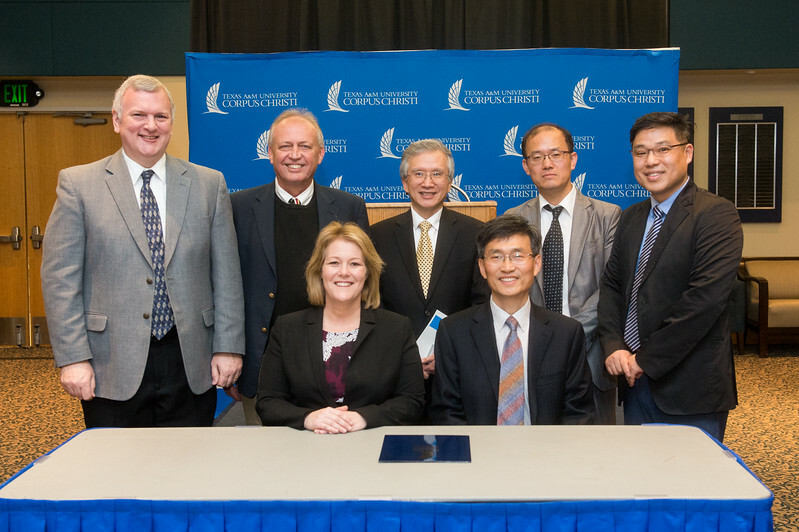 CORPUS CHRISTI, Texas – Texas A&M University-Corpus Christi continues to strengthen diversity, international cooperation and institutional friendship through the signing of a five-year Memorandum of Understanding (MOU) with Sejong Academy of Science and Arts (SASA), a high school for high-achieving students located in the Republic of South Korea. The agreement, which was signed on Jan. 30, is just the start of an educational alliance that will encourage the exchange of scientific knowledge and provide opportunities for SASA students to work with Island University engineering experts. The Island University signed a five-year Memorandum of Understanding (MOU) with the Sejong Academy of Science and Arts (SASA), a high school for high-achieving students located in the Republic of Korea, on January 30, 2018.